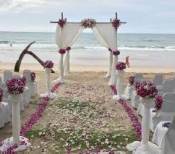 Phuket Travel Information is about passing on all our travel tips, so as you can plan your own holidays in Phuket. From the very first time that we visited Phuket some 26 years ago we knew it was special. 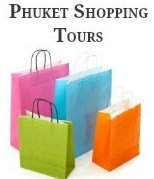 Over the years we would always recommend a holiday in Phuket to our friends and we would pass on as much information as possible. Now we are doing this with our website. When we first started traveling overseas we didn't really have to many options and had to get Travel Agents to arrange our holiday packages. Yes, it was quick and easy, all you had to do was pick the location, and your accommodation and they would assist with flights, transfers and tours. These days when planning our holidays we review what the travel companies have on offer and do our own research and compare prices and book all of our holidays online. Below is a list of information and travel tips that may assist you plan your own holiday vacation in Phuket or other areas in Thailand. Just follow the links below for more Phuket travel information and our handy travel tips. When travelling to Thailand it is always good to check the latest visa requirements and always make sure that you have at least 6 months left on your passport from the time of your departure from Thailand, this will save any hassles at the airports. It is also good practice to get the latest vaccination information for a worry free vacation. We always recommend that you sign up for the latest government travel alerts. Smart Traveller is excellent for Australians, it has a wealth of information and can advise if your destination is safe for traveling and provide travel updates. Before you travel make sure you complete their online registration, which is a bit like big brother but in a good way, as it lets the authorities know when and where you are traveling too. Many travellers arrive in Thailand through Phuket Airport. These days there are many flights to Phuket all of which are very affordable, you can choose between full service carriers or find cheap flights with a range of budget airlines. We also have information about getting around Phuket, limousine hire and airport transfers. Check the weather before you book your flights and accommodation to see when the best time is take a holiday in Phuket. And don't forget to have a look at our pages on what to pack with lots information on packing tips and traveling with children as well as exchanging money and how to save on Travel Insurance. The local Thai people are wonderful and it always good to know some of the local customs so that you can show your appreciation for their culture. If you are looking for one of the best travel pillows take a look at my most recent find. Stay up with our latest Phuket travel information and travel tips by signing up to receive our free newsletter.